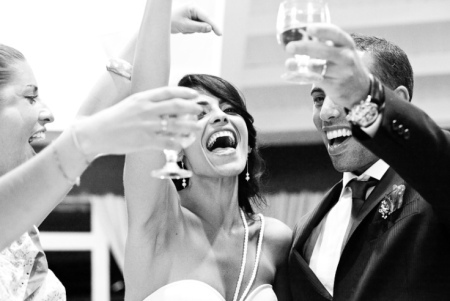 Our professional entertainers can host a number of different activities for you on your wedding day. Believe it or not, these games have a purpose. Weddings often bring together, in an atmosphere of strict etiquette, a group of people who don’t all know each other and have only the bride or groom in common. 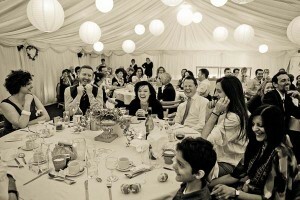 Games help guests get talking with each other and get into a festive mood. Below are some of our favourites. 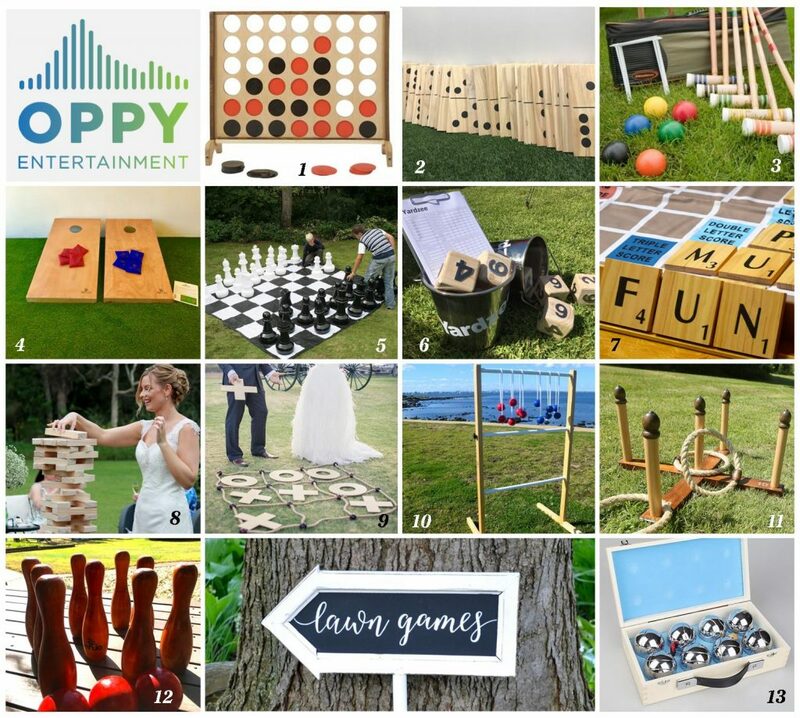 Games include: Giant Chess, Giant Jenga, Giant Connect 4, Giant Dominoes, Giant Noughts & Crosses, Giant Scrabble, Croquet, Bean Bag Toss, Quoits, Bocce, Ladder Golf, Yahtzee, Skittles… with more being added all the time. Email us for our current lawn games price list. Given notice, our entertainer can host this game for you! This hilarious game is a great way for guests to get to know you better as you learn how much you really know about each other, and is by far our most popular wedding game. 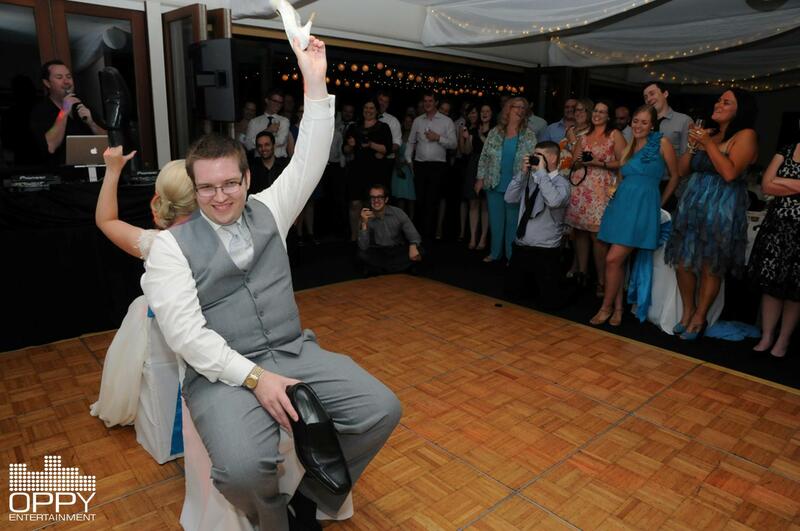 Place two chairs back-to-back on the dance floor. Remove both of your shoes, then trade a shoe with your new spouse so that you’re holding one of each. Then, have a designated person (usually your DJ or MC) ask a series of questions about the two of you and your relationship. After each question, hold up the shoe of the person you think has the best answer to the question. 1. Who is more romatic? 2. Who made the first move? 3. Who says ‘I’m sorry’ first after an argument? The point of the game is really just another way for your guests to get to know you a bit better, but most of all, it’s for laughs and comic relief. This game literally gets your wedding guests on their feet, and we have used this game at many of our weddings. The last person left standing wins a prize. Let us send you a quote to add our photobooth to your package! Some guests can get really into this and will spend ages waiting in the queue, pick up a prop and pose, and then get back into the queue and do it all over again!